This flowchart Visio alternative software will help you create different types of flowcharts based on your specific demand. It has the similar function with Visio but comes with a much lower cost. It is available for Windows, Mac and Linux. Microsoft Visio is a professional vector diagramming application for creating not only flowcharts, but also organization charts, network diagrams and UML diagrams, etc. MS Visio can be used for business, engineering and constructions. The only problem of Visio is that it is not affordable for most users. 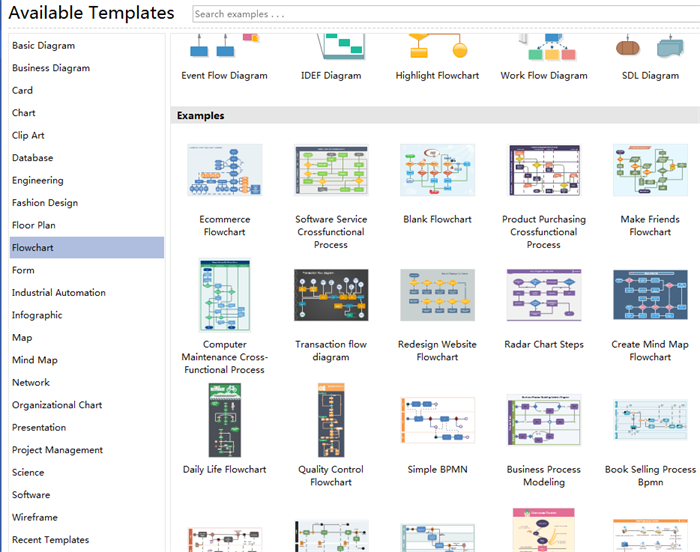 This page introduces the best flowchart alternative to Visio. Microsoft Visio is a professional diagram software with massive functions. This diagramming tool is used by some major enterprises. You can create any flowcharts with it, form a simple one to the most complicated ones. Then why do we need Visio alternative since it is such a powerful tool? It all comes down to the price. A standard Visio is priced at $299 while the premium one is priced at $999. Most small business or individual users can not afford this software at such a high price point. This is where Visio alternatives come into use. With all the functions to create flowcharts and an affordable price, this software is the best option. Edraw provides a large amount of flowchart examples to help you get started. All files on flowchart maker are completely compatible with those of Visio. There would be no problem if your customers are using MS Visio. 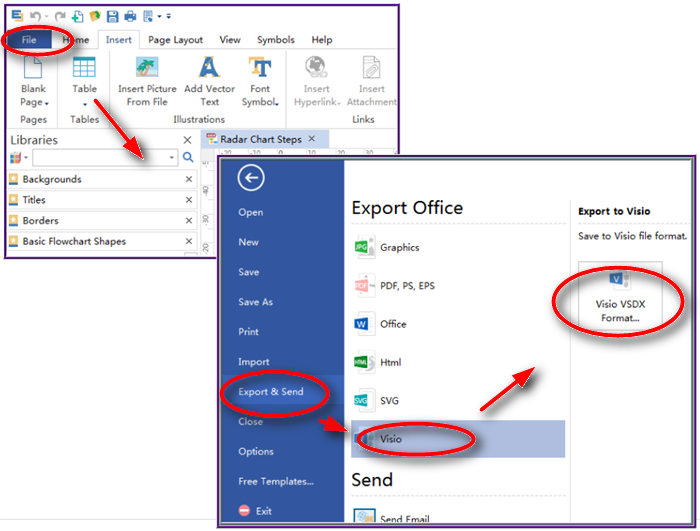 You only have access to Visio on Windows, however, Edraw also works on Mac and Linux. Edraw flowchart maker is a powerful tool that enables users to create any types of flowcharts with its various templates and symbols. The templates offers a wide range of options of flowcharts. 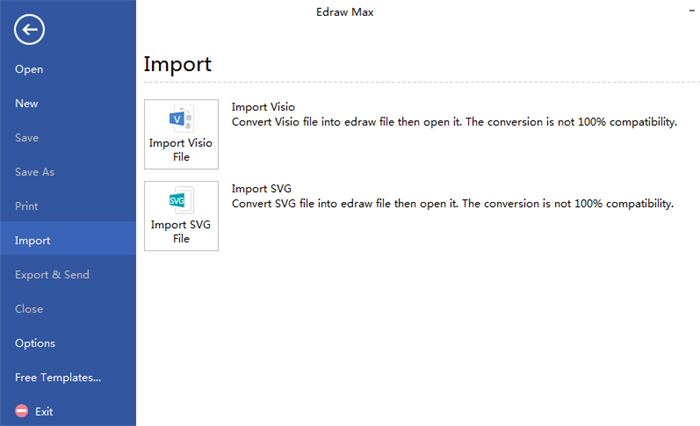 MS Visio has less than 20 examples while Edraw has more than 800. The number of symbols of Edraw is up to 12,000, while that of Visio is only 5,000. You can edit or change the shapes and colors of the charts easily, and the smart connector tools will make your flowchart more logical. MS Visio has higher price point, in addition, it requires extra charge for updated service. Edraw offers a more reasonable price with a lifetime license. If you are looking for a powerful alternative to MS Visio with a more reasonable price, this flowchart software might be perfect for you.